If you’re looking at a new 19 plate and a car to get you through the winter months, look no further than the BMW X4. The X4 slips in perfectly between the X3 and the X5 and you’ll find that there’s nothing lacking when it comes to quality, comfort or performance. Although the model has been offered by BMW since 2014, year on year each new model outperforms the last. 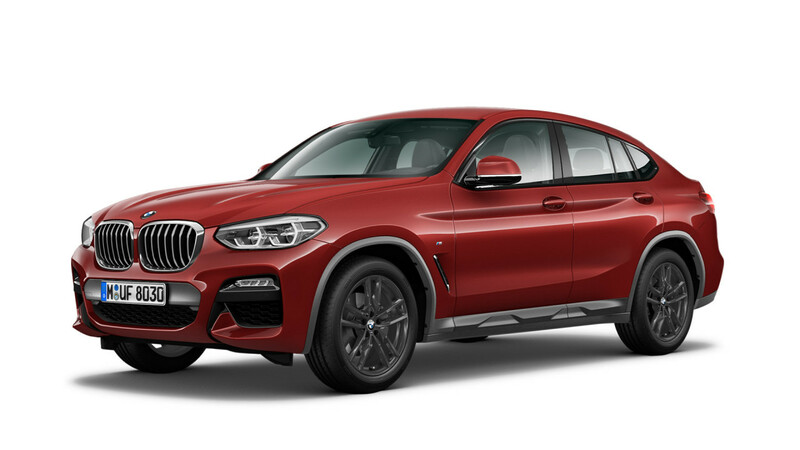 If you’re already a fan of BMW you won’t need us to sell this to you, but if you’re not usually a fan of the BMW range you may find that the X4 will make you question that judgement. So, what we can tell you about the new X4? Well, if you’re already familiar with the X3 then consider this a sleeker, coupe version of that. Offering a great interior and infotainment system, you’ll find much more room than the BMW X2 but not quite as much as the X6 but what you lack in size in comparison to the X6, it makes up for in style! You’ll find that the interior dashboard and centre console looks great and feels good, not plastic or cheap, more luxurious and soft. For the tech lover, you’ll find a 6.5 inch display for the infotainment system, the screen is easy to read whilst driving and you’ll be impressed with the high resolution. If you opt for the BMW X4 M Sport, you’ll find a larger 10.5 inch screen simply adding to the wow factor. Comfort wise, even the tallest of passengers seated in the front will have plenty of room, the standard (don’t be fooled by the word standard, great comes as standard here) offer a comfortable ride and hold you in position due to their sporty styling. If you’re transporting adults, you won’t have a problem with room in the back either, there’s plenty of room for anybody 6ft in height to be able to sit comfortably without brushing their head on the ceiling. They won’t be short on leg room either. The boot still offers a good space and the floor lies flat so there’s no risk of any damage or scratches to the bumper when lifting heavy items in and out of the boot. In terms of engine, there are both petrol and diesel options, an all-wheel drive system that can be switched to run in just front-wheel-drive option to save fuel. If you’re worried about performance should the vehicle slip in weather conditions or under heavier acceleration and the car will automatically adjust to all-wheel option to counter any risk. You’ll find an automatic gearbox offering 8 speeds so if you have a preference for manual, you may be disappointed. Would this put you off the BMW X4? Let us know, we have plenty of other options we can talk you through. In conclusion, we absolutely love the new BMW X4 and we already have a waiting list for the new model coming in on the new 19 plates. Don’t want to miss out? Call the team now on 01332 290173 or complete the form below and we’ll be in touch as soon as we can.